Genomics and Epigenetics: What’s their role in SEM? Genomic approaches to research in medicine and SEM are not a novel concept. Indeed, Claude Bouchard has previously explored the role of exercise genomics in a BSJM editorial from 2015. One of the key points suggested is that the impact of common DNA variants (polymorphisms) “pale in comparison” when compared with external events which impact cells. Bouchard further suggests that required for progress is a move away from a reliance on observational studies and candidate genes with little justification. In a cautionary conclusion Bouchard summarises that engagement in translation of research findings into practice is a worthwhile pursuit, but warns of the prematurity of using genomic markers in decision making. A view supported by this consensus statement on direct to consumer genetic testing. So what evidence do we have for the role of genomics in SEM? Most are aware of the work of Kathryn North and her team on ACTN3 or the “Sprint gene”, in the early 2000s. Interestingly, more recently an association was found between the ACTN R577X polymorphism and faster best 200m performance. As with many areas in genomics, there remains some discussion regarding functional influence of this variant. Further data demonstrates almost identical frequencies of the polymorphism in populations of East- and West-African athletes, with the suggestion that ACTN3 is perhaps not a significant contributor to sprint performance. Malcom Collins’ review from 2015 gives and excellent overview of the available evidence examining DNA sequence variants and associated musculoskeletal injuries. The suggestion from Collins’ work is that the discovered variants contribute somewhat to inter-individual structural variations in tissues (such as tendons) and consequently the mechanical properties of said tissue. A similar relationship also exists for the differences we see in response to mechanical loading of tissues. A clear takeaway is that based on current evidence, it is unlikely that these variants are independent risk factors, but rather modulators contributing to overall risk. The above are just two examples from a plethora of previous and ongoing work exploring genomics in SEM. Collectively they point to the uncertainty still present in the field. In addition to exploring the relationship between genotype and phenotype Bouchard touches on the role of epigenetic studies on sport and exercise medicine. If performed objectively gene expression profiling can demonstrate relevant transcription patterns. These identified patterns can then be further investigated as candidate targets in further genomic work. The term epigenetic was first coined by Conrad Waddington in 1942, though the understanding of genes and their hereditary function was limited at this time. Since then, and relatively recently new avenues of exploration have emerged from the concept of epigenetics; researchers are delving deeper into the complexities of nature and nurture. In a recent Ri Science Podcast Professor Anne Ferguson-Smith outlines the current theories in epigenetics and environmental interactions with our genome. The podcast acts as a great introduction to epigenetics for those trying to get to grips with the topic. The field of epigenetic research continues to grow particularly within medical fields, as academics further explore the idea of personalised medicine. With this in mind, what might be the role of epigenetics in sport and exercise medicine, if any? As previously mentioned, the role of epigenetic modifications is not novel to the world of SEM. 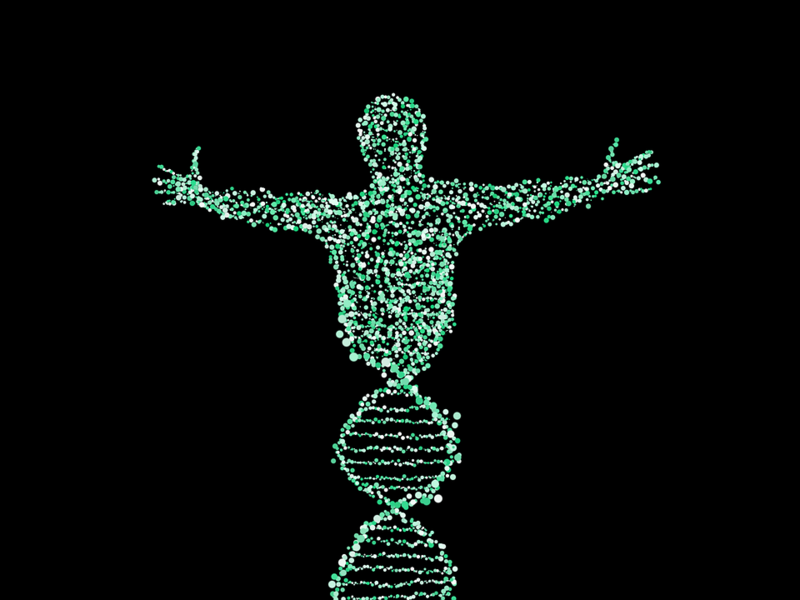 A review of an event focussed on epigenetics has also been previously explored right here in the BJSM blog. The blog makes multiple references to DNA methylation (the process whereby an extra methyl group is added to a C base in DNA, forming methyl-cytosine), which for some time was hailed as the next breakthrough in epigenetic research. Though as we now know, the significance of DNA methylation is not as straightforward as first thought. The initial idea that the methylation process simply switches a gene off, is not supported by much evidence. It remains unclear whether DNA methylation inactivates genes or appears as a result of the inactivation. With such ambiguity, it’s difficult to draw conclusions from work exploring relationships between DNA methylation and exercise and other factors relevant to the world of SEM. Various observational work has demonstrated weak associations between changes in DNA methylation and exercise, and resulting disease states. The functional impact of these findings remains unclear. There certainly appears to be a role for genomic research in SEM, and more recently a place for epigenetic work. While lots of observational work identifies relevant DNA variations and epigenetic modifications which are relevant to the academic world of SEM, the functional impact of these observations remains unclear. The majority of authors highlight this limitation and warn of the difficulty of applying these findings. Only as the field continues to grow and further work is produced can we begin to fully understand the function of genomics and epigenetics within SEM. Jonathan Shurlock is an academic foundation year 2 doctor based in Sheffield. He coordinates the BJSM Undergraduate Perspective blog series.